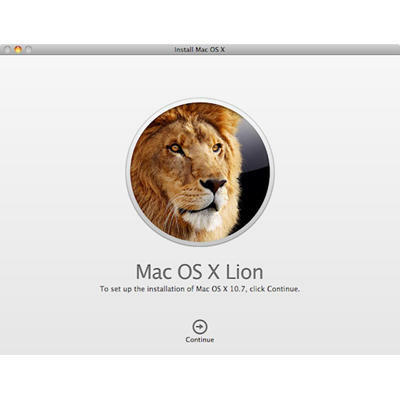 Ready to behold Mac OS X Lion? Well if you're reading this, you're probably all about the multitouch-tastic, auto-saving goodness of 10.7 — but what about your system? If you're not one of the lucky few picking up a new MacBook Air or Mini with Lion preloaded, then you're probably eyeballing an older Mac for the upgrade. Some of you might even be tempted to just download and install 10.7 straight away, but that would be playing fast and loose with your data. You want to roar, not cry, so why take any chances with your computer? Instead, consider that a little precaution now can save a lot of pain (and tears) later. To make sure your upgrade is an epic win, try the following steps. Here's the deal: Lion is only available via the Mac App Store. And only OS 10.6.6 even has this store. So for this (and probably other reasons), you can't just skip from Leopard straight to Lion, at least not in any legitimate way. In other words, you need Snow Leopard. Yep, that's another $29, but that's not the tough part — 10.6 is not available via download. You can only get it via hard copy on disc. That will get you to 10.6.3. Then, Apple says, you'll have to update from here to the latest 10.6.8 before going any further. You'll also want to run Software Update to get the latest on every other native program and utility in your system. What else can kill that "new OS update buzz"? Finding out that you suddenly have no printer, audio mixer or other accessory, so be sure to update your third-party firmware for any crucial accessories. You'll probably have to visit the official websites. Check to see if the latest drivers work with Lion, and if not, find out if the company announced anything about planned support. If your hard drive is stuffed to the gills, you'll need to carve out some room — in fact, more than Lion's 4GB size suggests. If you can, go for 12GB of free disk space (10GB, minimum). Delete excess files, move stuff to external storage or discs — whatever you need to do — but don't skimp. You don't want something to go wrong with your installation because you were stingy about freeing up space. 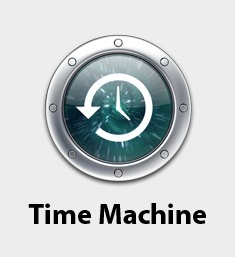 Thanks to Time Machine, more users are backing up their hard drives than ever before, and that's a good thing. Sometimes you do everything right, and still things can go horribly wrong. So if you haven't backed everything up yet, then please — PLEASE — do it before you perform any major maintenance or upgrades, including this installation. Once you've taken the precautions, you're ready to roll. 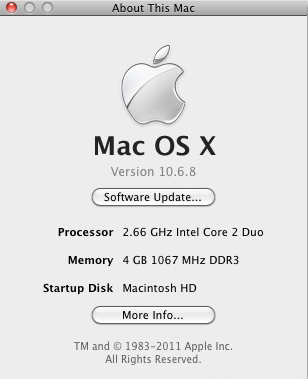 Go ahead and launch the Mac App Store to purchase, download and run the upgrade to OS X 10.7. Upgrading an OS used to take the better part of an afternoon or longer, but thankfully, those days are over. It may not happen in seconds, but depending on your system, it shouldn't take hours. After you've had a chance to play around with your new Lion, it's time for the final step: Head back to TechnoBuffalo and tell us what you think of the gestures, swiping, auto-saves and other tidbits. Is this version of OS X a win? Or is it a tired kitty with no bite? 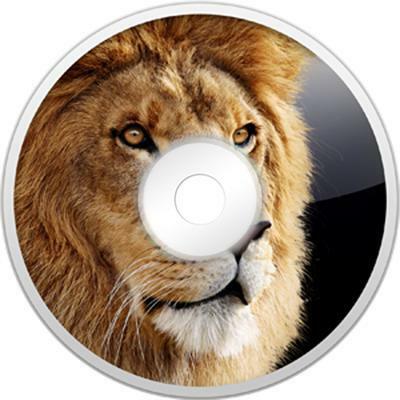 SIDEBAR: A Word About Lion Install Discs: There are many instances in which having a bootable install disc would be really handy (like if something goes wrong when upgrading, or you want to do a clean install and have no idea about dealing with boot partitions). Unfortunately, there is no official installation disc, since Apple only makes Lion available as a download. Unofficially, however, there are ways of DIY'ing one for yourself, and it actually looks pretty simple. 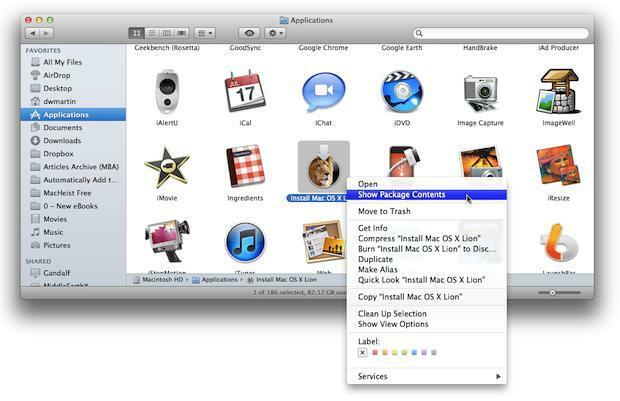 After downloading Lion from the Mac App Store, right-click on the Lion installer file (probably located in the Applications folder). Then pick "Show Package Contents." Open the Contents folder and copy "InstallESD.dmg," then paste the file onto your desktop. That's all it takes to get the file you need. Then you just burn it onto a disc or copy it over to a USB drive using Disk Utility. (Don't skip this — the program verifies the copy, which is what you want, so don't just drag it over to the external and think you're done.) If you need specifics, hit the links above for step-by-step tutorials.